Why would I need self storage in Citrus Heights, CA? There are a variety of reasons why you might need self-storage in Citrus Heights, CA. How much is a storage unit in Citrus Heights, CA? The cheapest storage unit in Citrus Heights, CA is $52.00 per month. What size storage units do you have available in Citrus Heights, CA? In Citrus Heights, CA we have sizes that range from 5'x5' to 10'x20' to suit your storage needs. How much is it for a 5'x5' storage unit in Citrus Heights, CA? The cheapest 5'x5' storage unit in Citrus Heights, CA is $52.00 per month. Located just 15 miles northeast of Sacramento, Citrus Heights is where the Sacramento Valley meets the foothills of the Sierra Nevada. Though the city has been a much-desired destination since its discovery by 19th-century explorers, it was a largely rural area until the 1960s and wasn't incorporated until 1997. Today Citrus Heights has thriving retail areas, easy access to Interstate 80 and a relatively affordable cost of living. You always have the option of making the short drive to Sacramento to access plenty of big-city amenities, but that doesn't mean that Citrus Heights doesn't have plenty to offer on its own. The city may stretch across only about 14 square miles, but it manages to fit a number of local attractions and amenities within those borders. The Sunrise Mall is one of the region's largest and most successful shopping centers and host to many of Citrus Heights' special events. Here, you can attend a weekly farmers market, holiday celebrations or a summer parade. You'll also find a large collection of shops and major retailers as well as a variety of restaurants. If you'd like to enjoy the beautiful weather in Citrus Heights, the local Rusch Botanical Gardens offers a scenic setting to explore. Originally created in 1915, the gardens represent every one of California's seven biomes. Or you can head to any one of the many community parks, including Brooktree Park and the Arcade Creek Park Preserve. With its convenient location near Sacramento, Citrus Heights is home to many small businesses, food service companies and retailers. 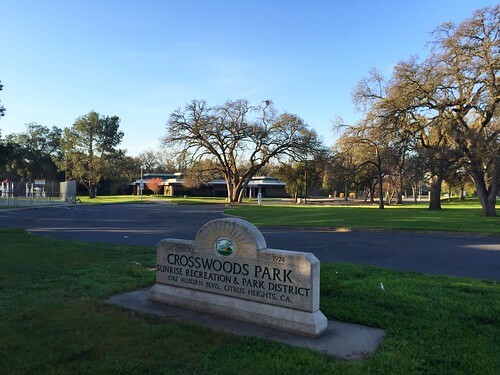 The city's major employers include government entities including the City of Citrus Heights and the Small Business Administration, along with major retailers Costco, Lowe's, Macy's, Sam's Club, Sears, Target and Walmart. In Citrus Heights and Greater Sacramento, trade and transportation, government, education, health services and business services are the largest industries. The area's fastest-growing industries include leisure and hospitality, construction, trade and transportation. The San Juan Unified School District manages the schools in Citrus Heights and its neighboring communities. The district also has a number of specialized schools including preschools, special education centers and adult schools. You'll find several colleges and universities in the Citrus Heights area that make it easy to pursue higher education. Utilities: The Sacramento Utility District and Pacific Gas & Electric are the city's main energy providers. A few different companies provide water services; your specific provider is generally determined by your neighborhood. Garbage and Recycling: You can expect regular curbside collection of trash, recyclables and green waste. Transportation: The Sacramento Regional Transit District (SacRT) provides public transportation within and around Citrus Heights. You can purchase a monthly resident pass to make your daily commute even more convenient. Citrus Heights is divided into a number of different neighborhoods, each with its own special qualities. Northwest, Rusch Park, CHANT, Arcade Creek and Park Oaks make up the west side of the city. Sunrise Ranch, Sylvan Old Auburn Road and Birdcage Heights cover the city center. CHASE and Sunrise Oaks make up Citrus Heights' east side. In Citrus Heights, the median home value is fairly even with the state average and fairly affordable for the Sacramento area. Our lowest priced units in Citrus Heights, CA average $57.33 per month. 288 people have reserved units in Citrus Heights, CA in the past 30 days. There are 6 locations within Citrus Heights, CA's city limits. There are 2 locations in Citrus Heights, CA that offer AC and Heating features.